Founded Craigslist in 1995. He is demonized by some in the newspaper industry for singlehandedly destroying their classified advertising revenue model -- Craigslist has no fees for advertising, with the exception of job postings in San Francisco, New York, and Los Angeles. The site is thus not highly monetized, one reason for its popularity. Estimates are that even this meagre way of conducting business grosses as much as $25M annually. Newmark refers to his girlfriend as "The Girlfriend", much to her annoyance. "Like many folks, I read a few things by Ayn Rand, even making a pilgrimage to her offices, and this goes back about 40 years which is horrifying to say, even meeting Murray Rothbard back then, being a member of the Society for Individual Liberty for some years, then drifting away because I sensed that sometimes libertarian ideals don't mesh well with the real world." 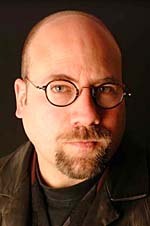 Craig Newmark on "Nerd Values," Obama, Ayn Rand, and More, interview with Reason.TV, published 24 October 2008.